Happy 10th Birthday, Deathly Hallows! 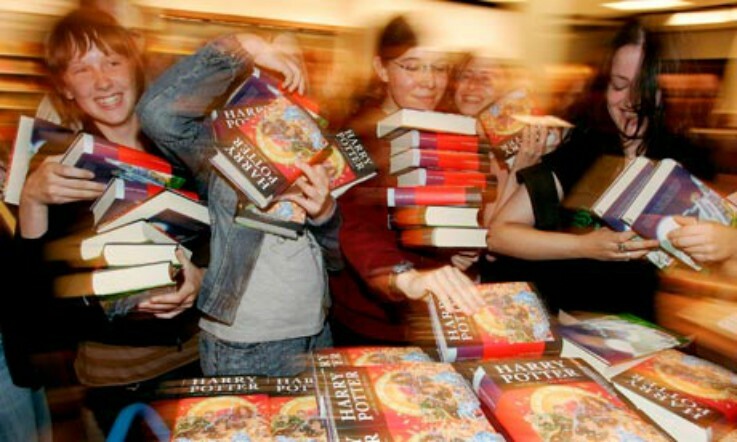 We can’t believe it’s been ten whole years, a decade, a tenth of a century, the average lifespan of a wild deer, since the final installment of J.K Rowling’s Harry Potter series hit shelves, broke hearts, and affirmed lives all over the planet. Fans around the world gathered at midnight for the book’s release on this day in 2007, awaiting what was thought to be Rowling’s final word on the wizarding world. While it was in some ways the end of an era, the franchise has, thankfully, gone on to expand in a multitude of directions, from the Fantastic Beasts series to new spin-off books to Pottermore to theme parks. But it’s not all over! According to Warner Bros we still have four more Fantastic Beasts movies to look forward to! And with related books continuing to be released, we won’t be letting go just yet!